Presented by: Curtis Burrowes, Worcester Roots; Dave Howland, 3Cross Fermentation Cooperative; Terry Briggs, Bowditch; and members of WooRides. 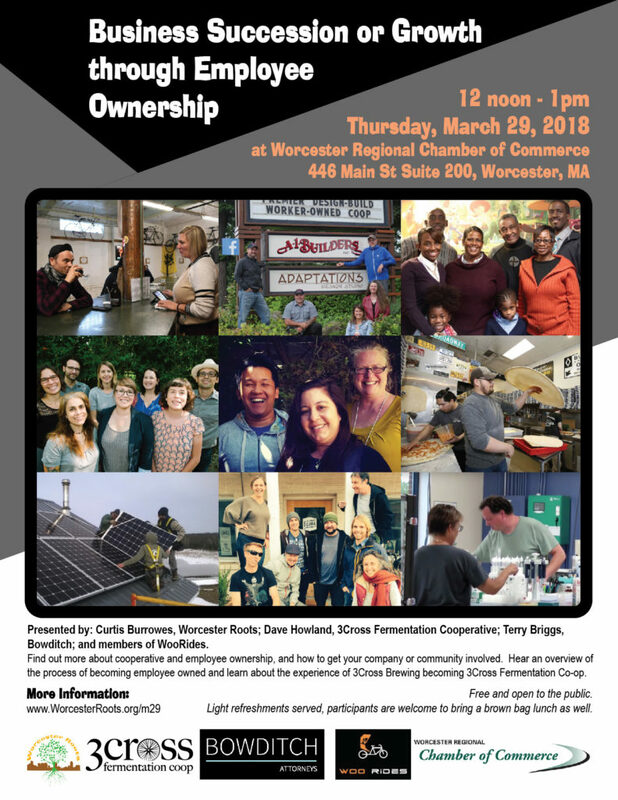 Find out more about cooperative and employee ownership, and how to get your company or community involved. Hear an overview of the process of becoming employee owned and learn about the experience of 3Cross Brewing becoming 3Cross Fermentation Co-op. Light refreshments served, participants are welcome to bring a brown bag lunch as well. RSVP on the Worcester Regional Chamber of Commerce Website here.